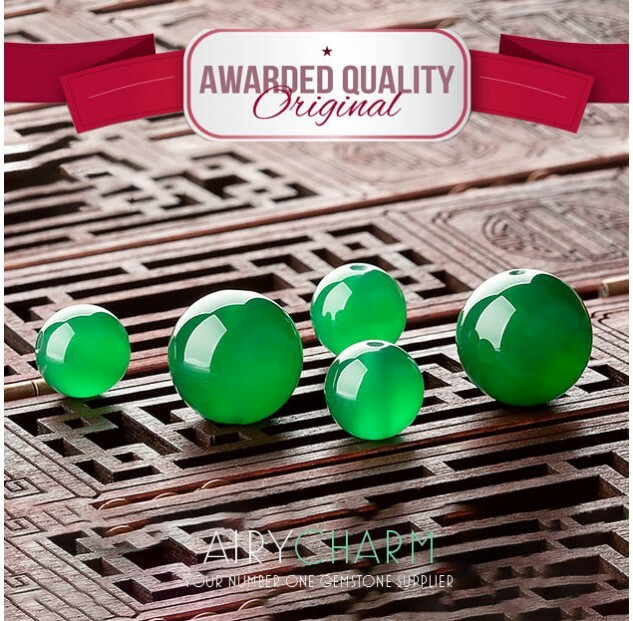 Green Agate is a type of Chalcedony, a mineral that belongs to the quartz family. It usually has opaque and translucent layers. 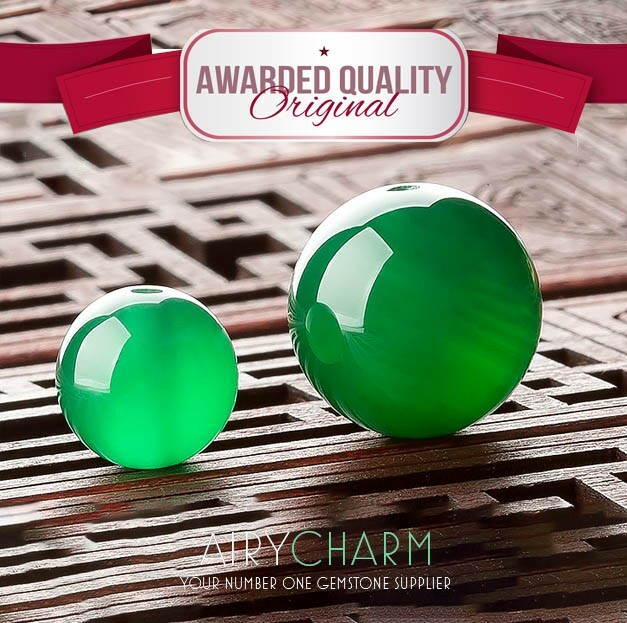 Because of its green color, this crystal has been used for hundreds of years and it is associated with plants, nature, gardening, and farming. It has also been used by shamans and magic workers of nature to help the warriors to draw the energy of the natural environment so that they can go forth with that strength and power that nature brings to us. 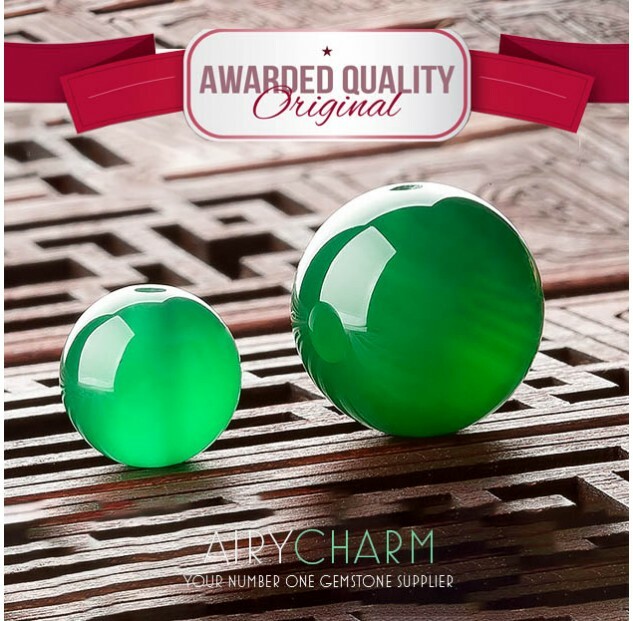 Because of its beautiful green color, green agate is very popular in jewelry making; from beaded necklaces and bracelets to pendants, earrings and rings. Apart from its beauty, people wear green agate for its metaphysical properties and meaning. Green agate is the perfect stone to wear for any new beginnings. So if you’re setting up a new business or starting or ending a relationship, wearing green agate beads will give you a clear mind and stability and help you with your new beginning, whatever it is. Also, if you’re moving to a new city, starting a new job or want to make new friends, wearing green agate will help you to make those changes in your life. It can also help children, especially shy children who are starting a new school, for example, it will help them make friends much more easily. Wearing green agate can also be beneficial during childbirth because it helps to facilitate a smooth and healthy birth process. It also helps to relieve pain caused by childbirth. So any areas in your life that you want to go smoothly and don’t want to rush anything, green agate will help you with those new beginnings. Green agate is great to help connect you with plants and nature. That’s why green agate is often nicknamed the gardener’s stone. If you got a bit of a black thumb and have difficulty successfully growing plants, green agate can help you understand plant life better and finally grow a beautiful garden. Gardening and connecting with plants and nature can be a very nice, meditative process and it can bring you closer to nature. Of course, many plants end up being food for us, so green agate beads can help you choose wise food choices. So you can wear it when you’re shopping to make sure that you buy food that is natural, organic, and healthy for you. Not only does the green agate help you connect to plants, but it encourages you to get back into nature. Nature works in such a slow pace and all of us can learn and benefit from slowing down a little bit more. As you learn to work with nature and resonate with its pace, it can really help you work in harmony and stop any adverse reactions that you might have to extreme weather or environmental pollutants. The Native Americans actually used green agate to influence the weather. Since green agate connects you to nature, it is a very good grounding stone that gets you rid of any stress and anxiety. When you connect to the earth, you relax, quiet your mind, get into a meditative state and all of the stress will simply disappear. 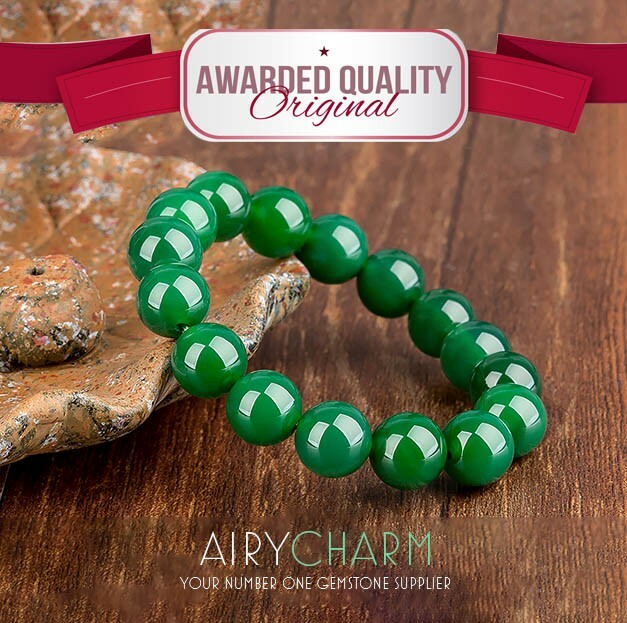 Green agate beads also help you to see beauty in all things and feel grateful for everything you have. Green agate is also a stone of wealth and abundance so if you want more wealth and abundance in your life, wearing a green agate with help the flow of money and abundance. Green agate can also boost your self-esteem. If you have self-esteem issues or you don’t feel worthy or loved, wearing green agate jewelry will help you feel that universal love and give you a feeling of worthiness and place in this world. If you or any of your family members suffer from depression or anxiety, it can be beneficial to keep green agate around. It can give that burst of energy and enthusiasm that depressed people desperately need. Green agate also helps with physical conditions that were caused by emotional issues. Any kind of issues that we hold inside have an energy of stress and that stress then eats away at the physical body. So green agate beads seem to be a really good cleanser of those physical and emotional issues and restores balances to your mind and body. After the order is placed and confirmed by the payment processor, we will process it and ship to you within 24 - 72 hours (except for weekends when the post office is closed).